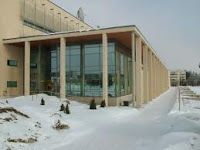 Tampere University of Technology (TUT) is an active scientific community of 2,000 employees and more than 10,000 students. The University operates in the form of a foundation and has a long-standing tradition of collaboration with other research institutions and business life. Many of the fields of research and study represented at the University play a key role in addressing global challenges. Internationality is an inherent part of all the University`s activities. Tampere University of Technology (TUT) invests in doctoral education. The President`s Doctoral Programme covers all disciplines represented at the University and has several positions available for Doctoral Students. The positions will be filled for a fixed-term period of three years, from 1 September, 2011 onwards. During this time, the PhD students will undertake full-time study toward their doctoral degrees. The University will also expect the PhD students to perform teaching duties in their own fields, as part of their doctoral education. Salaries will be based both on job demands and the employees` personal performance, in accordance with the University Salary System. According to the criteria applied to teaching and research staff, the position of a PhD students is placed on job demand levels 1 - 4. In addition, employees receive performance-based salaries. The PhD students will serve a trial period of four months. Please submit your application electronically ( Official Website ) 13 Researchers to the Doctoral Programme of the President of the University) by April 29th, at the latest. Degree certificate, appendix to the degree certificate (i.e., list of completed courses) and, possibly, a transcript of the postgraduate studies that you have already completed. Postgraduate study plan, including a schedule that covers three years, signed by the supervisor of your studies. (Certificate of proficiency in English language (IELTS, TOEFL or CPE/CAE). Please Note: Only non-Finnish speaking applicants!). If necessary, the enclosures must be scanned (e.g., enclosures that must be signed). All enclosures (A, B, C, D and E) must be combined into one .PDF file and named "firstname_lastname.pdf." The maximum size of the .PDF file must be 5 MB. If necessary, you may also combine the enclosures into several .PDF files. Successful candidates must be eligible for studies leading to scientific or artistic postgraduate degrees, as set forth in the Universities Act (558/2009 37§). The requisite degrees must be completed before submitting the application. In case the applicant is graduating this spring, the application may be supplemented until 10th June with the Degree certificate and the Appendix to the degree certificate by email to [email protected] Candidates do not have to hold official postgraduate student status at TUT when submitting their applications. Your master`s thesis must be graded 4 (or equivalent) or higher on a 1 - 5 scale. When assessing the candidates, the University will especially consider their potential for successfully completing doctoral degrees. The assessments will be based on the candidates` previous studies and/or research experience. Demikianlah informasi mengenai 13 PhD positions at Tampere University of Technology (TUT) semoga berguna bagi anda.